Very nice surroundings - located in a beautiful setting next to the water front. Spacious and well equipped with washing machine, spa, grill, WLAN, etc. Light modern design. We stayed for two nights and enjoyed it all the time. One night we ordered a sea food platter for the grill - skewers with prawns and scallops as well as fish fillet. Delicious. Next to the house a large number of kangaroos could be seen (30+) grazing. On the terrace we could enjoy the active bird and the water views. What a wonderful friendly place with an idyllic setting. Our bungalow faced across the lawns directly to the water and had the most stunning views. 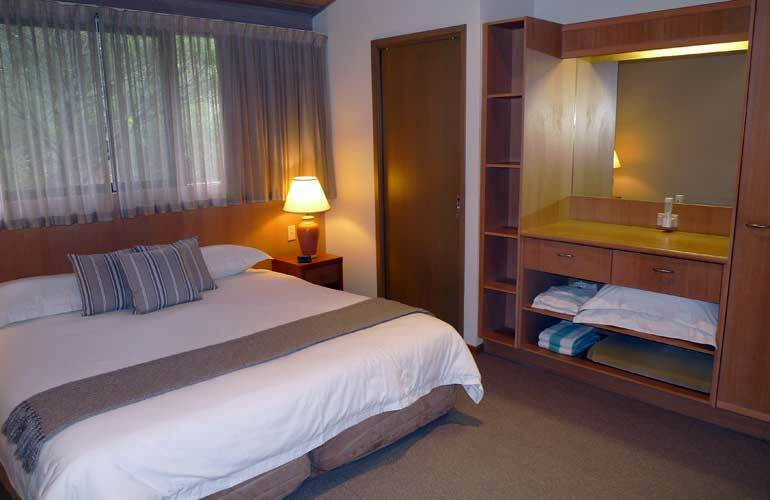 The bungalows are beautifully appointed with everything you could possible want. The bedroom and bathroom were delightful and the bed was so comfy. The layout of the main room with kitchen area was well thought out to provide dining and sitting areas. The glass fronted room opened onto a decking area for relaxing and eating as well. The kangaroos came down onto the grass in the early evening and you could watch then easily without moving from the decking. It was just so relaxing and there are some great walks in this area. We also had some of the best Koala sightings of the trip nearby. We loved every moment of our stay.